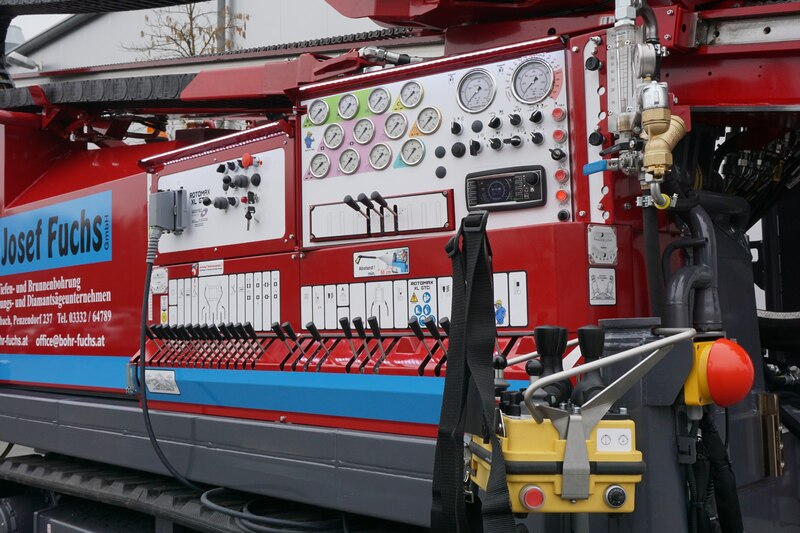 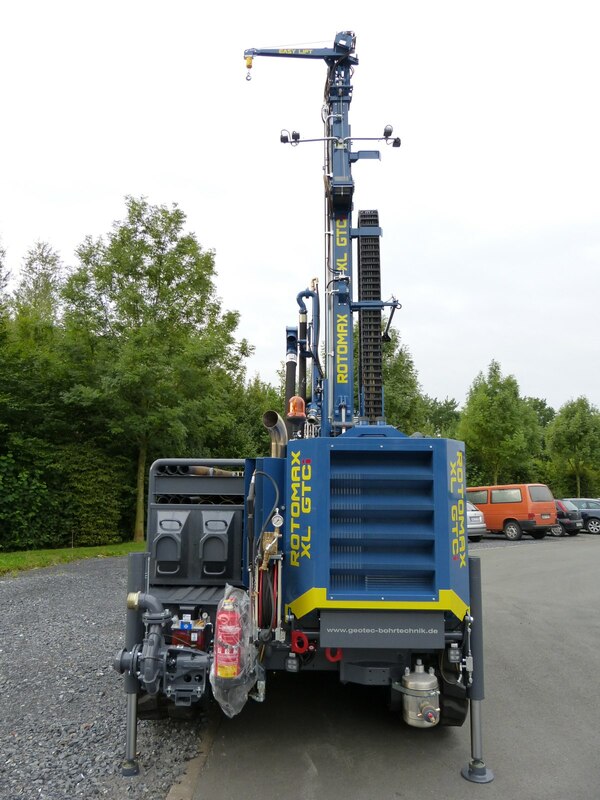 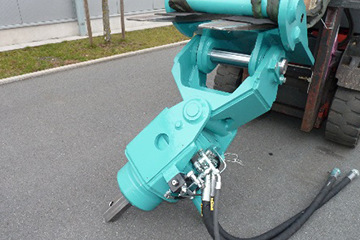 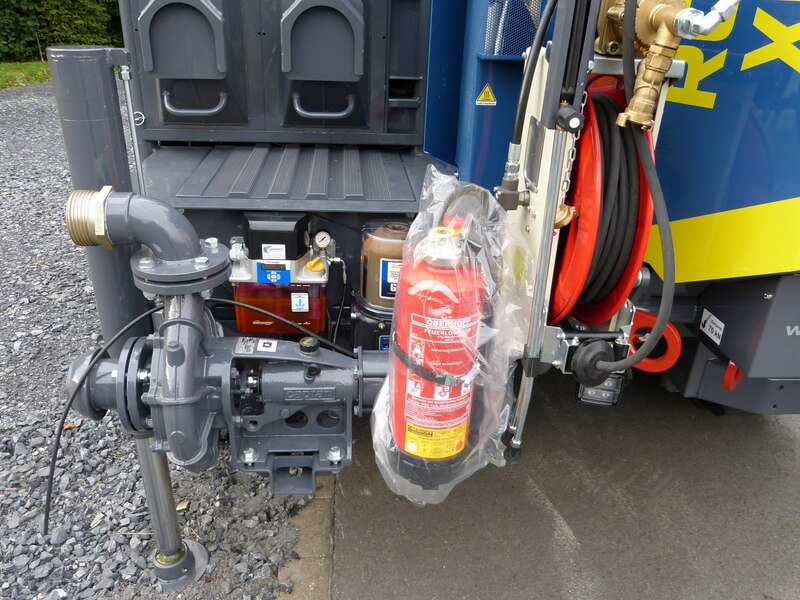 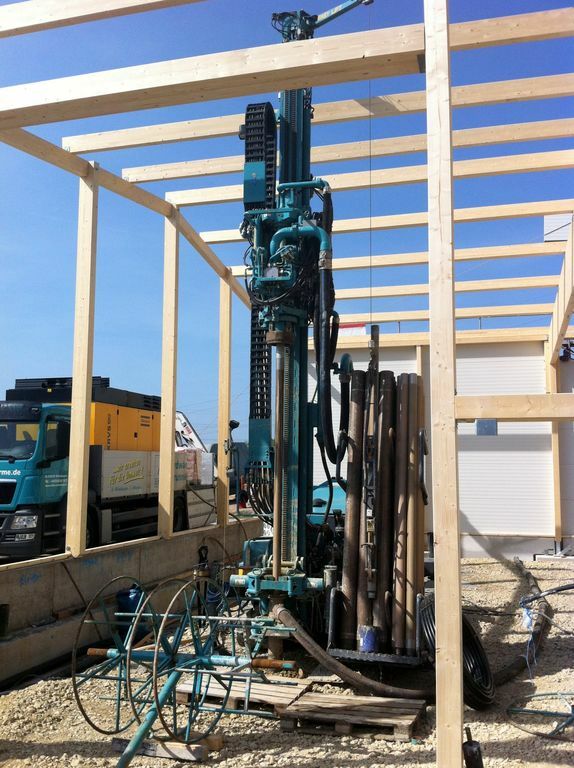 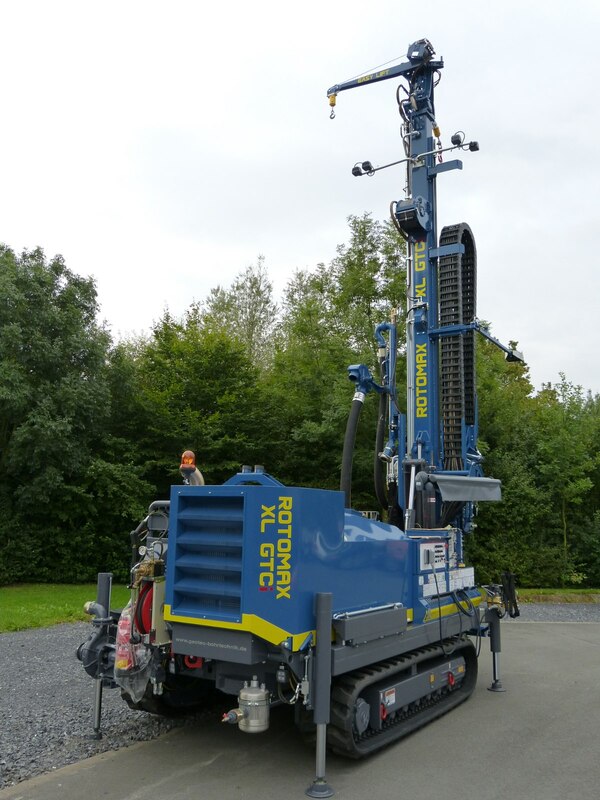 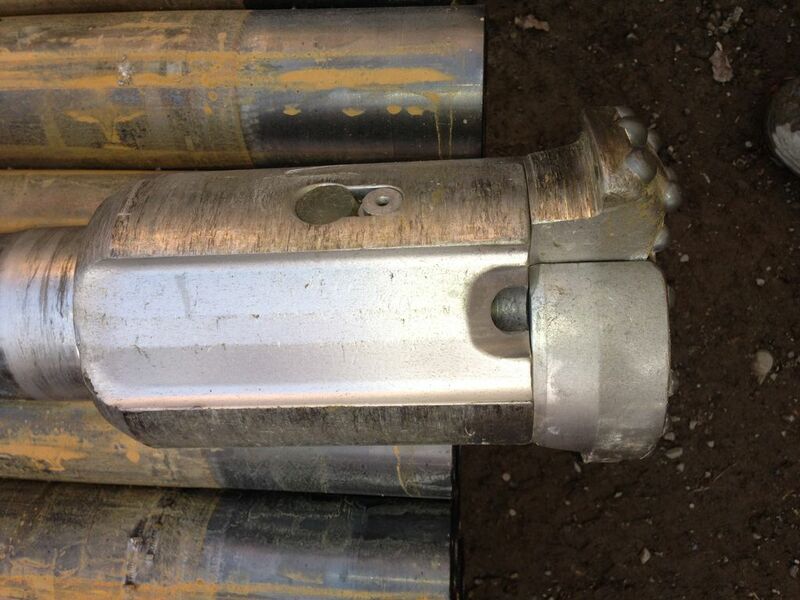 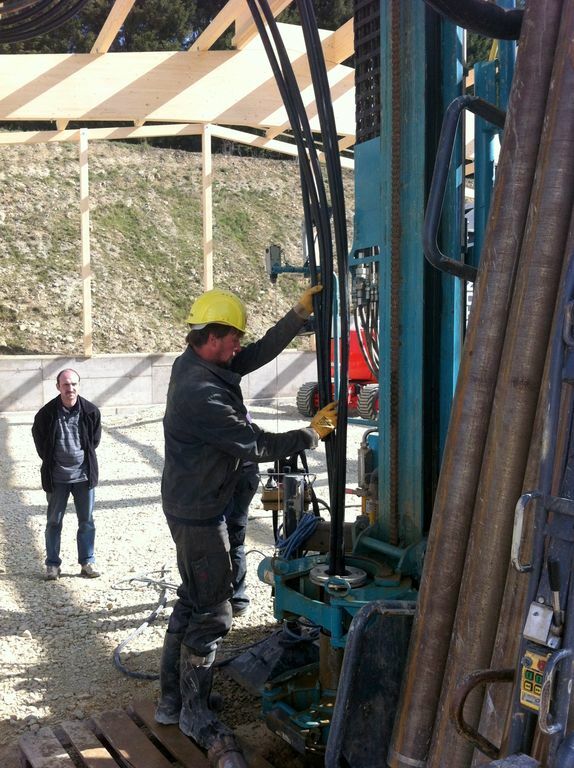 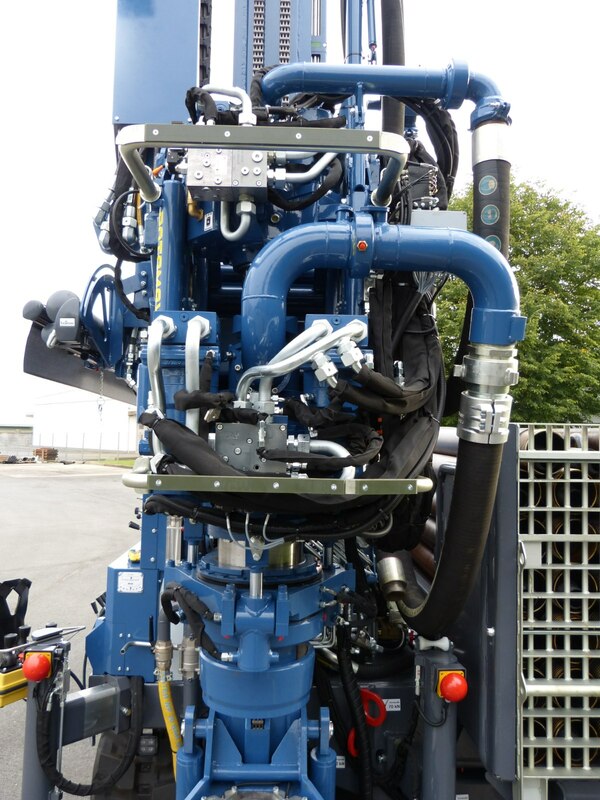 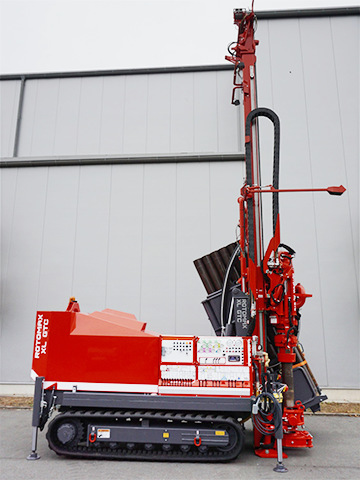 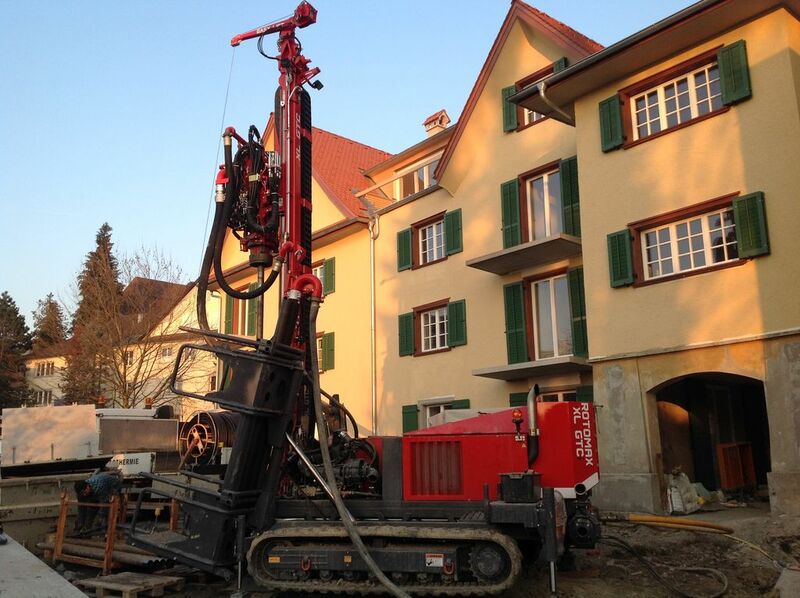 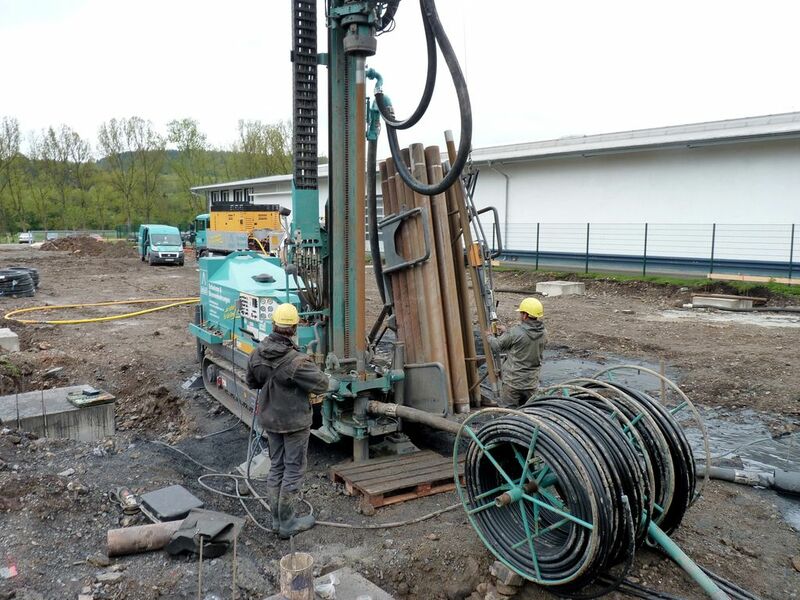 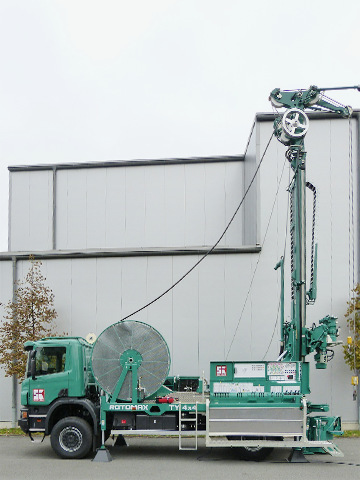 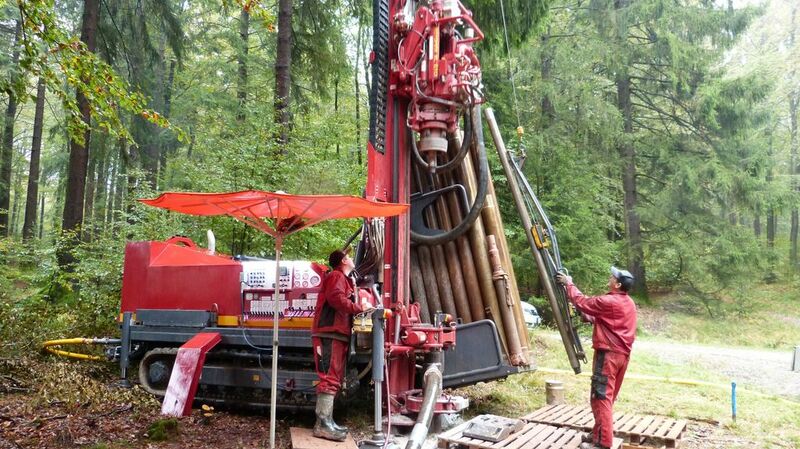 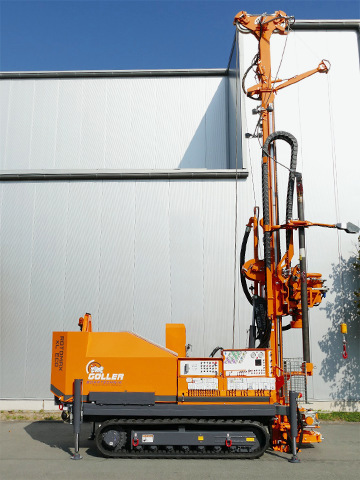 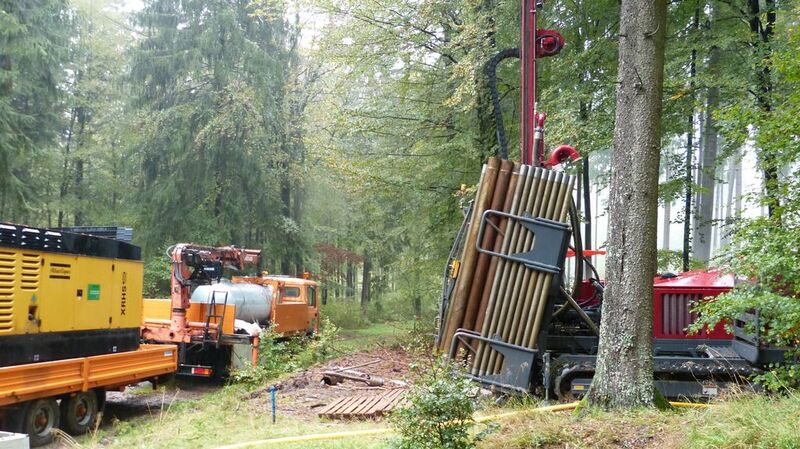 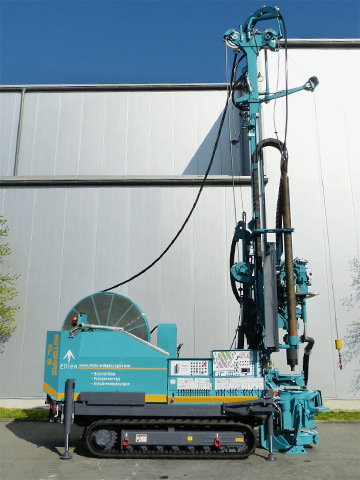 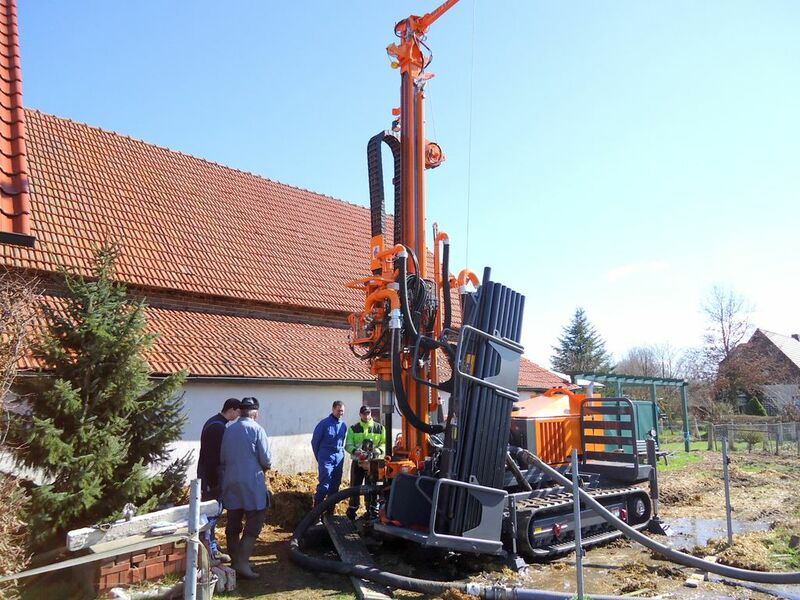 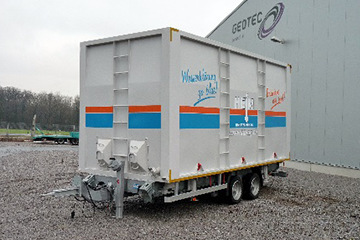 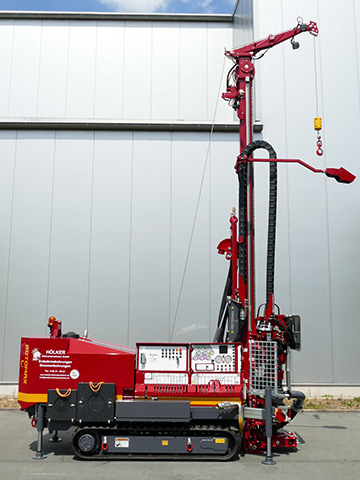 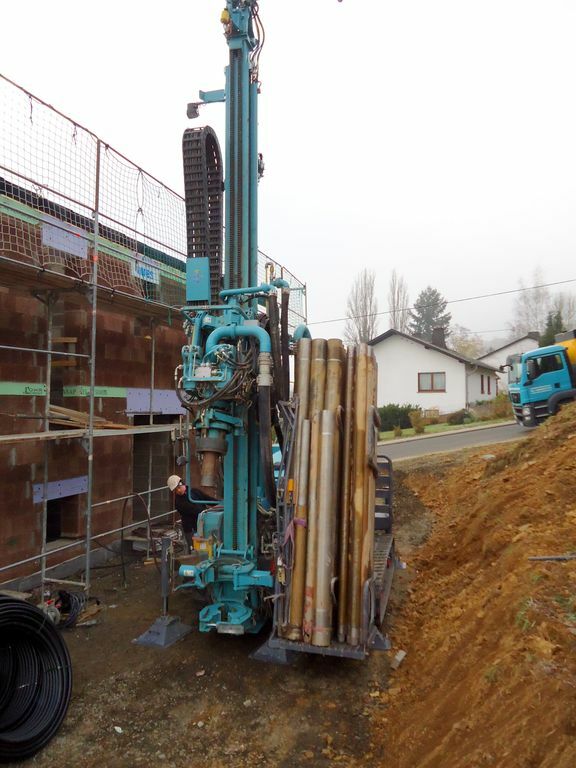 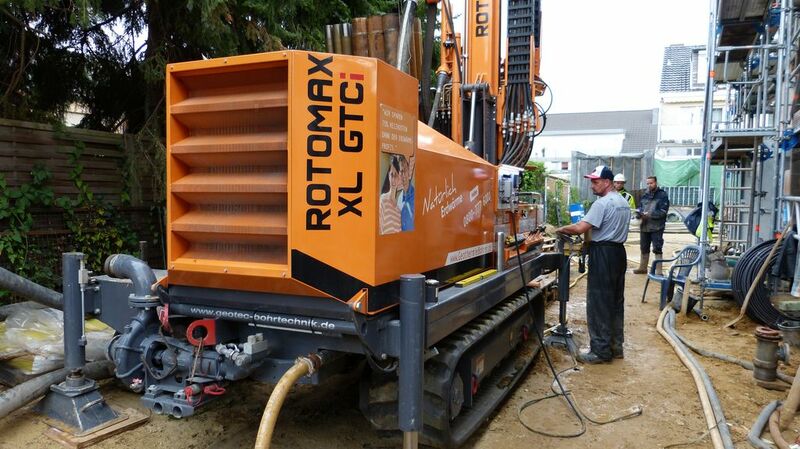 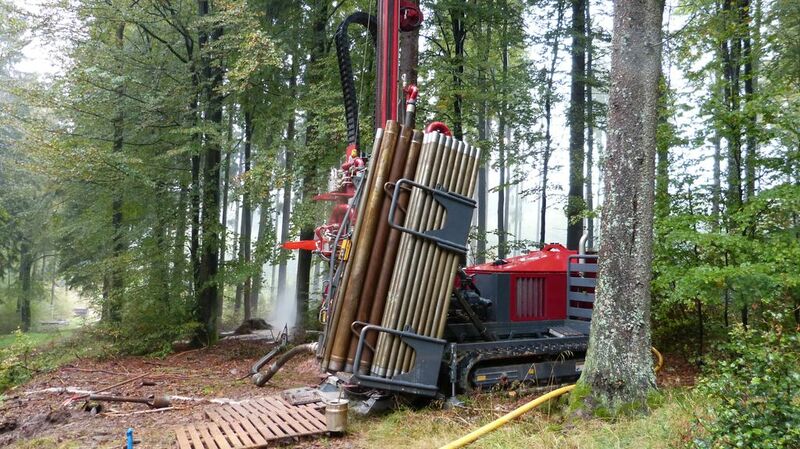 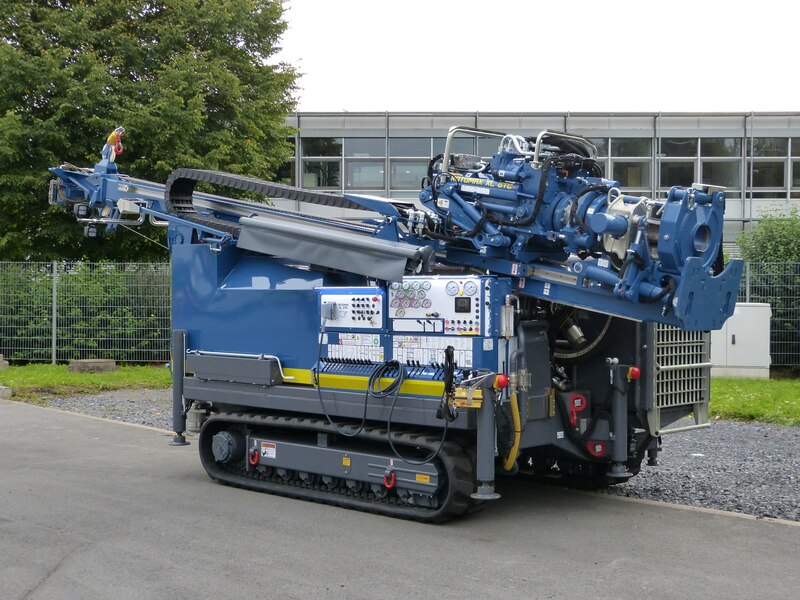 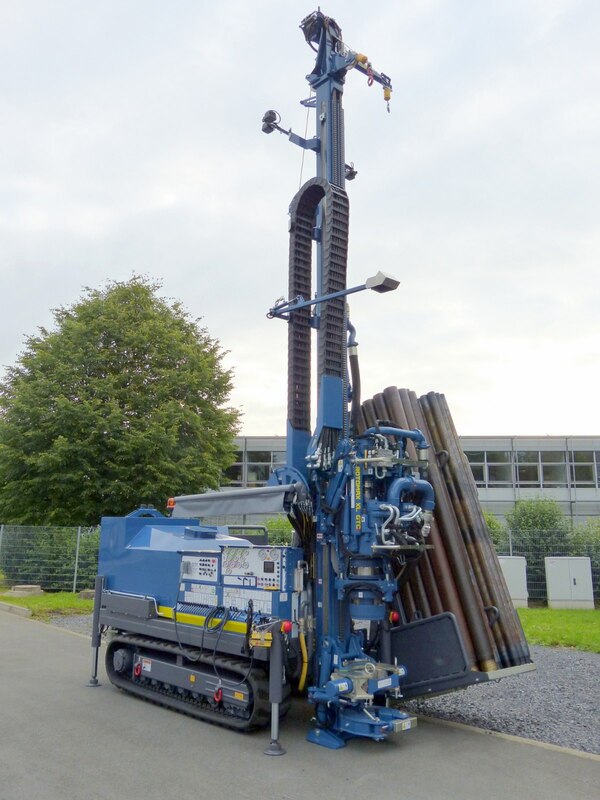 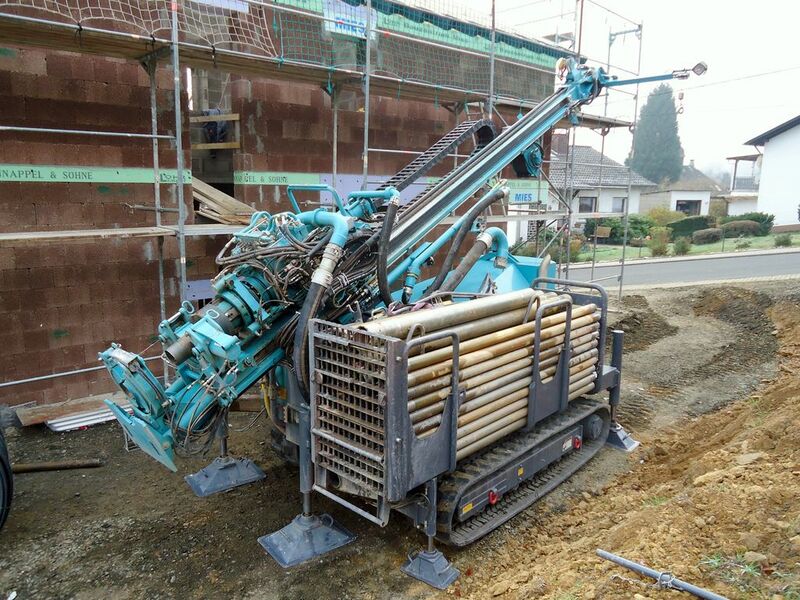 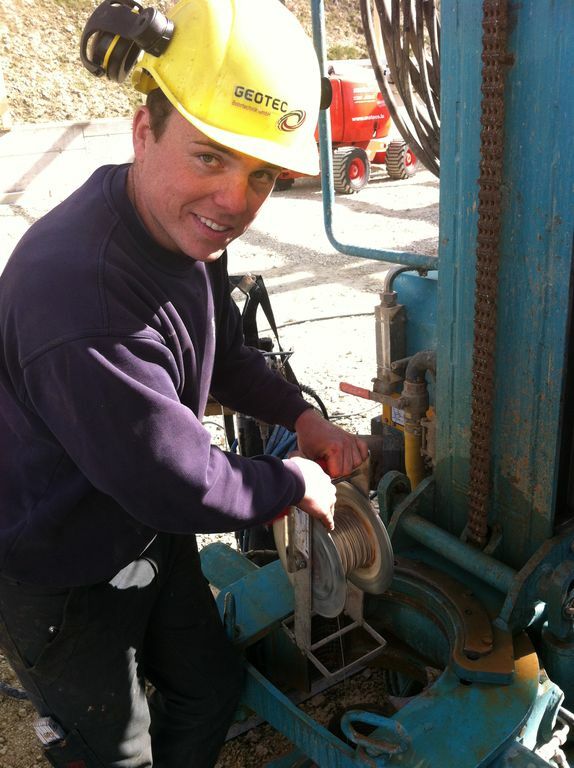 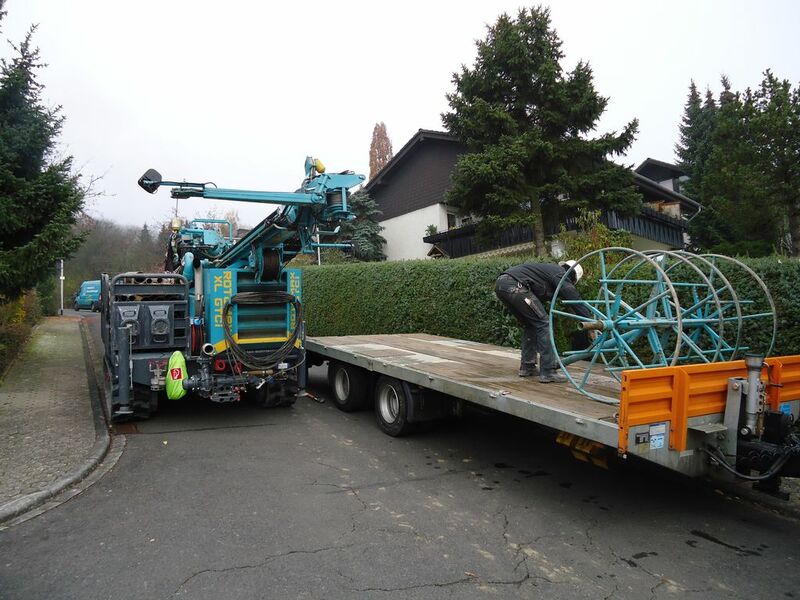 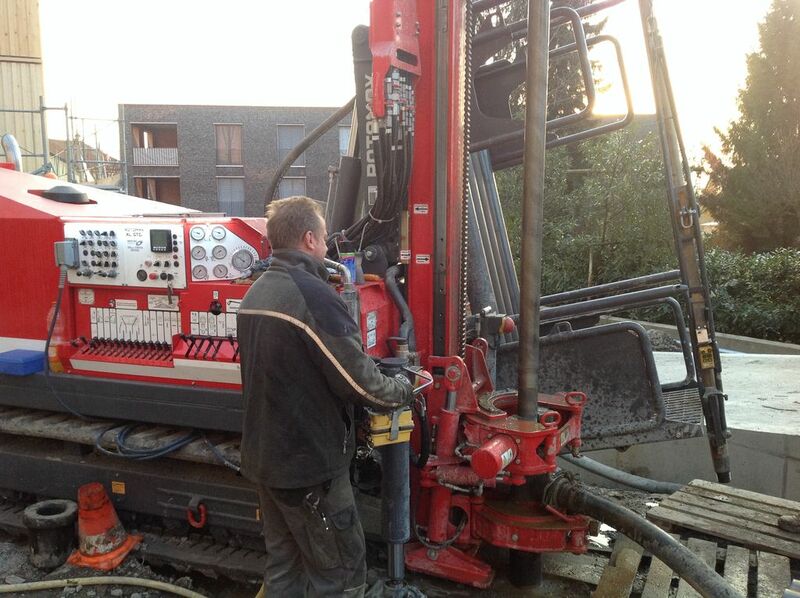 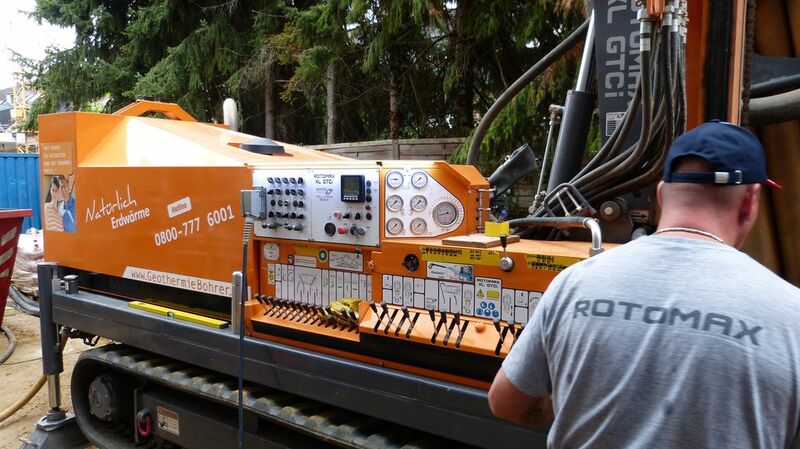 It is the most compact in its category and the biggest drill rig produced by GEOTEC – the ROTOMAX XL GTCi drill rig for highest all-around efficiency. 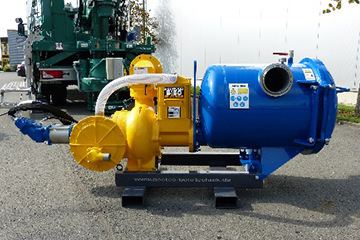 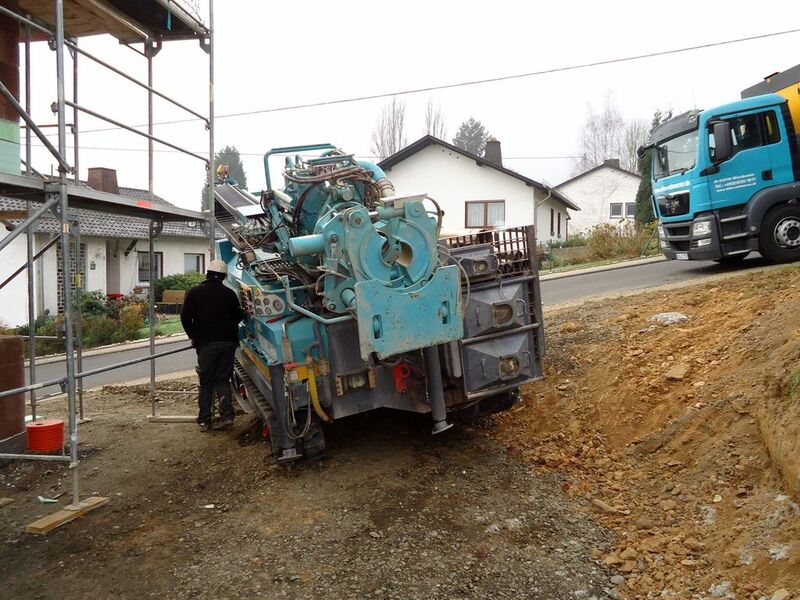 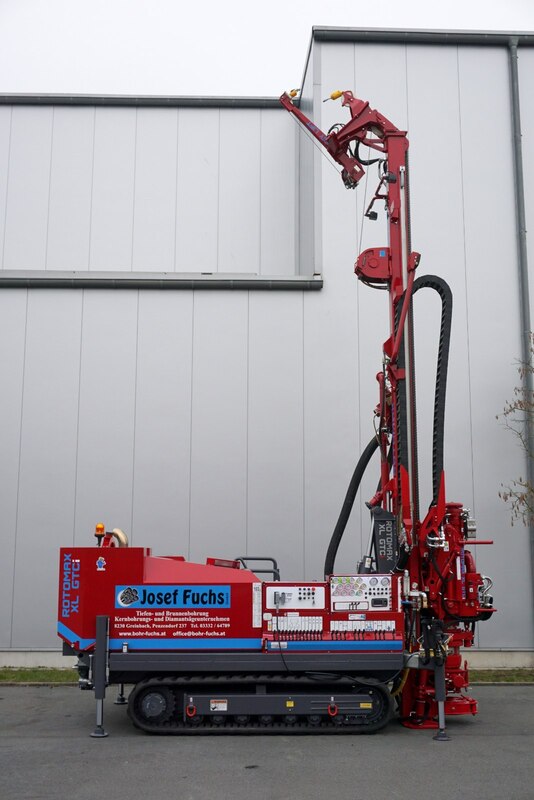 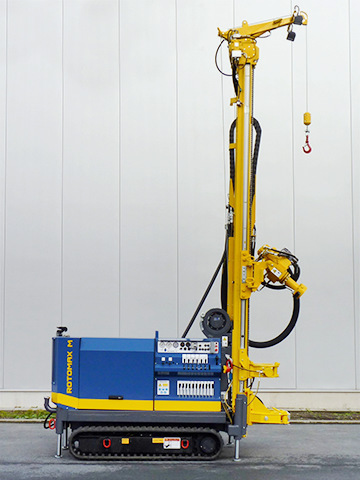 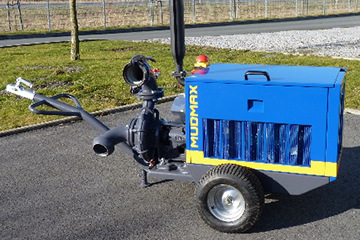 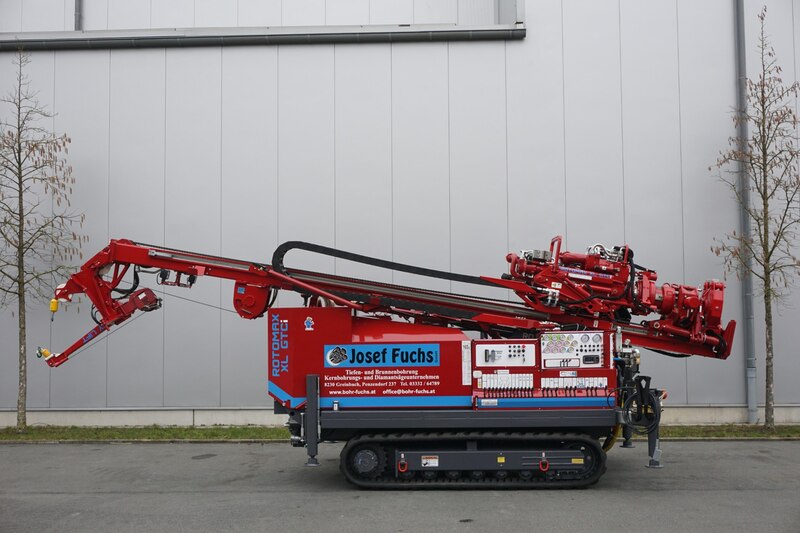 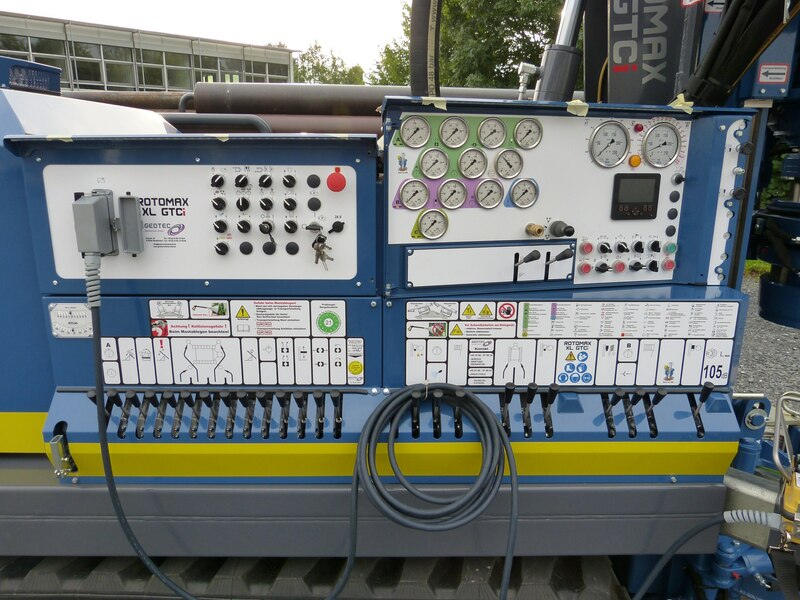 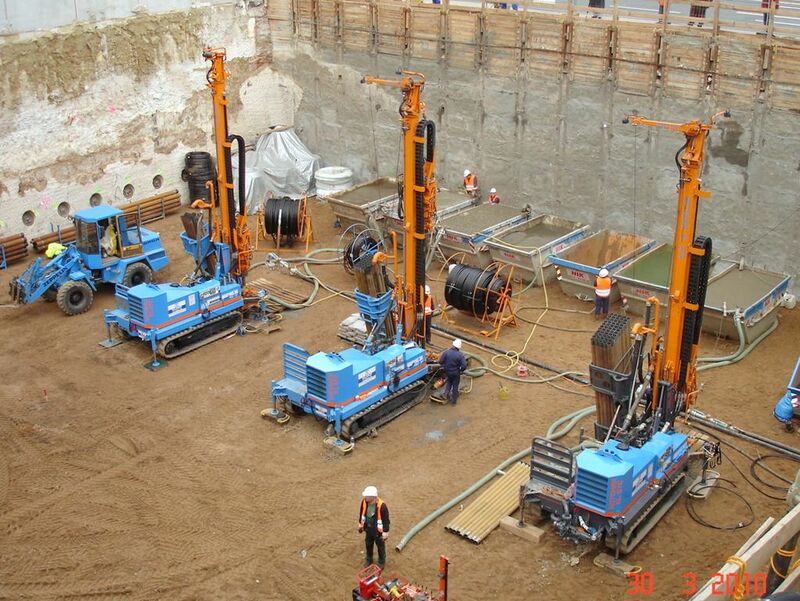 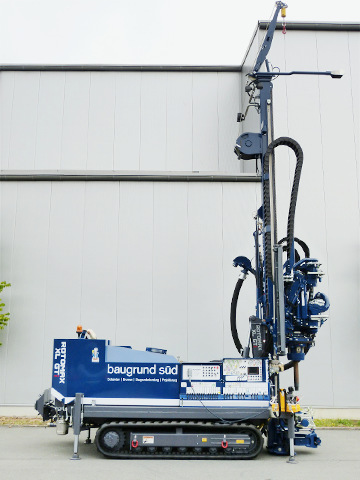 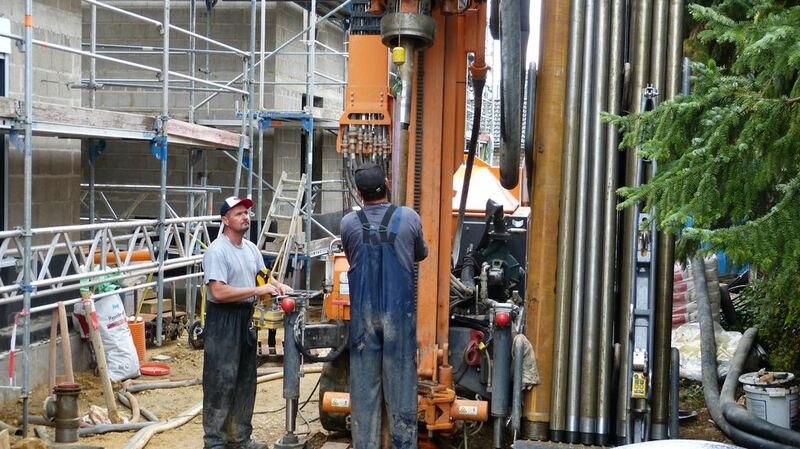 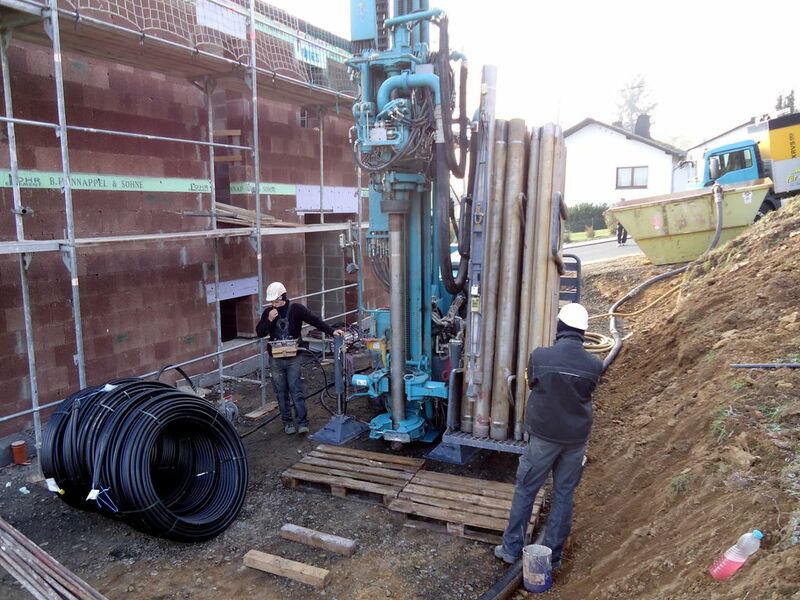 This optimally equipped machine stands out due to its highest quality, most modern technique and extraordinary performance, mastering even the most challenging drilling tasks in a cost-efficient way. 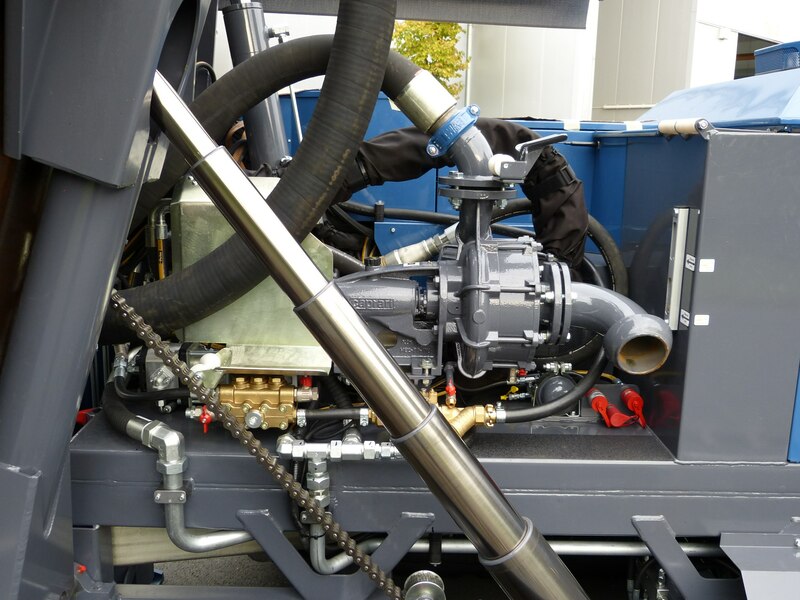 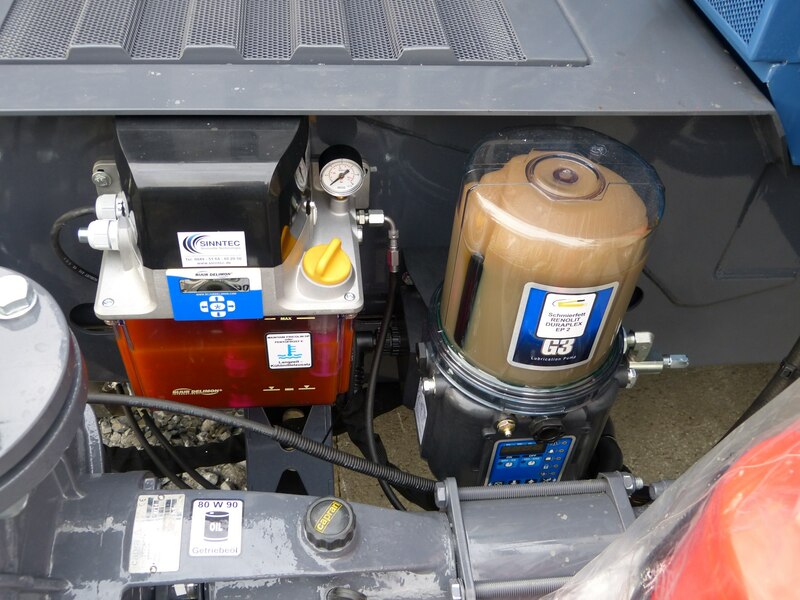 Pure 168 kW of finest, modern hydraulic systems as well as the unique construction provide for a notable performance enhancement, lots of reserves and, with only 12,5 t of total weight, new dimensions. 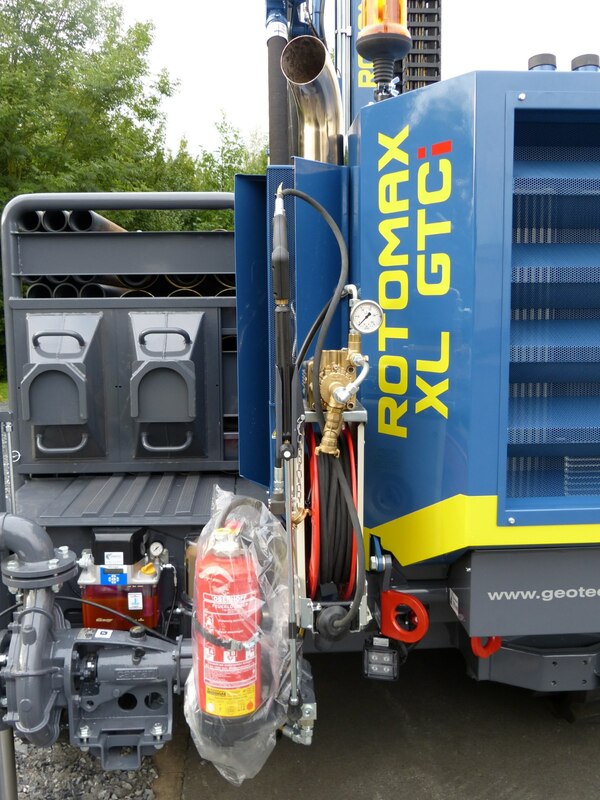 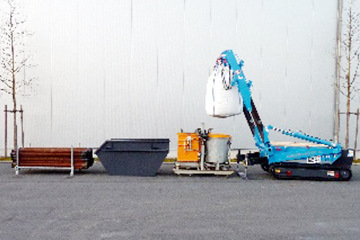 It goes without saying that the ROTOMAX XL GTCi is mounted on rubber crawler tracks. 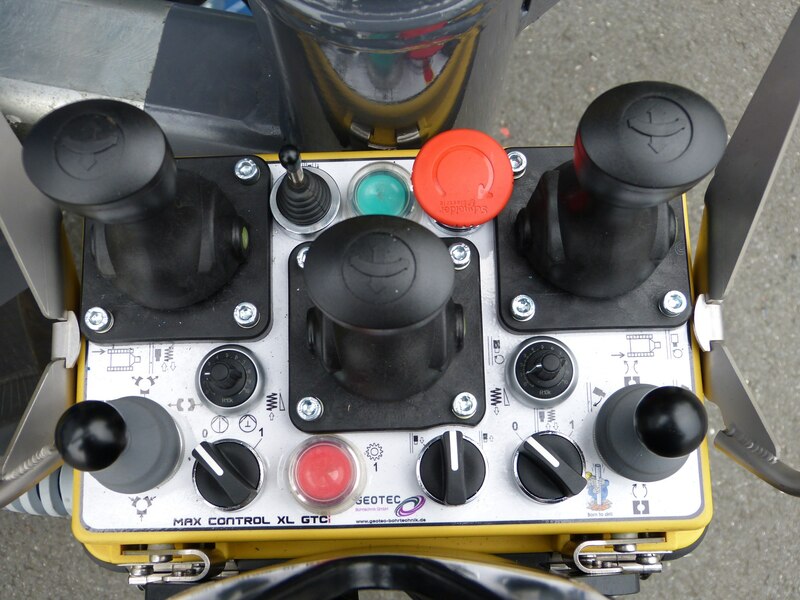 Furthermore, all the major functions are accessible via remote control.